The Avengers' Only Weakness - Knockout Gas!  Home  CBR - Feed  News  The Avengers' Only Weakness - Knockout Gas! In "The Wrong Side," I examine comic book fights that were particularly notable in the wrong side winning (or at least that the fight wasn't won the "right" way). This really isn't a big deal, of course, as it doesn't really matter if the "wrong" person won a fight. But it's fun to talk about! Here are our past editions of the feature. If you want to suggest a fight for future inclusion in this feature, drop me a line at brianc@cbr.com. Don't suggest a fight in the comments! Reader Steve R. wrote in with this one. First off, as always, on the first page, we determine the power level of the people involved in this discussion to set up the fight and on the second page, we look at the fight. The way we check their power levels is usually to see how well they do when they fight Spider-Man, as he is so strong that he beat up Firelord and the X-Men, all by himself! However, in this particular instance, the question is not really "How did Spider-Man do against the Avengers in fights?" but rather, "How did they all do against gas as a weapon?" However powerful Spider-Man is, it is fair to say that he is probably more vulnerable to gas attacks than some other superheroes. 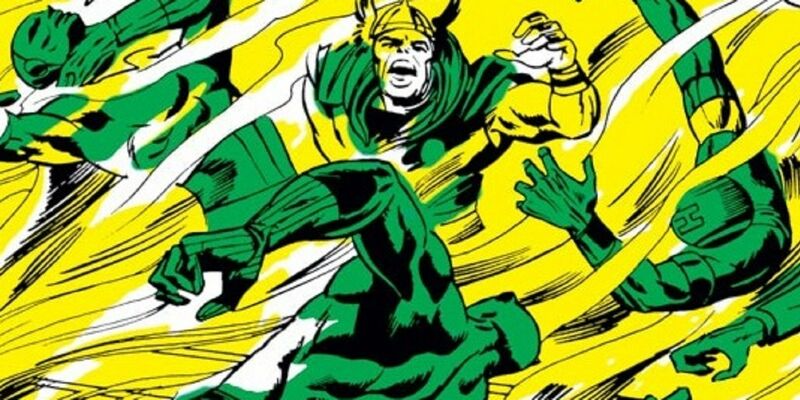 There was a period there in the early 1970s where the Avengers were brought into outer space twice in the span of four issues. In Avengers #122 (by Steve Englehart, Bob Brown and Mike Esposito), we see that Iron Man's armor is pretty good at allowing him to breathe, even in outer space! Okay, that sets things up pretty well, right? Page 2: On to the fight! Even if you think that Thor wouldn't be able to just hold his breath in time or that Iron Man would get his armor cut off in time, Vision literally doesn't have to breathe! The gas should have been useless against him. Pretty funny observation, Steve! And a good suggestion for The Wrong Side! If anyone else has an idea for a comic book fight that you think was resolved the "wrong" way, drop me a line at brianc@cbr.com!